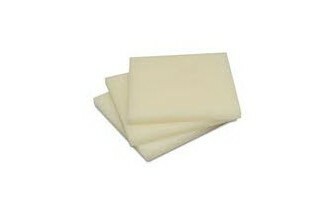 Cast nylon plastic sheet can be filled with various lubricants to enhance wear and reduce friction. It is lightweight and offer high tensile strength and high modulus of elasticity. These characteristics have made cast nylon a perfect choice when replacing bronze, brass, steel, and aluminum in various mechanical applications. Cast nylon can be made into various custom shapes based on the end users application.